The Prediction Profiler, or simply Profiler, allows you to explore cross sections of predicted responses across multiple factors. It gives you a wealth of information about your model, and in JMP 12, you can export it to interactive HTML pages to share with others who do not have JMP. The Profiler shown below was created using the Drug.jmp data set. 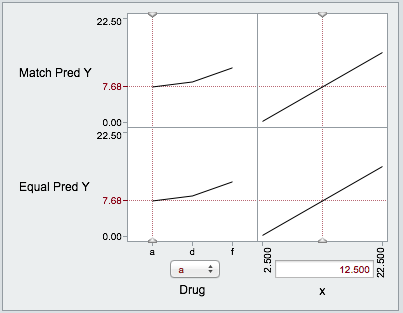 Two predicted Y variables versus 3 Drugs and a continuous factor, x. Using HTML5 technology, you can use the interactive Profiler on mobile devices that were unable to display the Flash version. You can export Remembered Settings that you apply to the Profiler to communicate to your audience model prediction profiles for key factor settings. 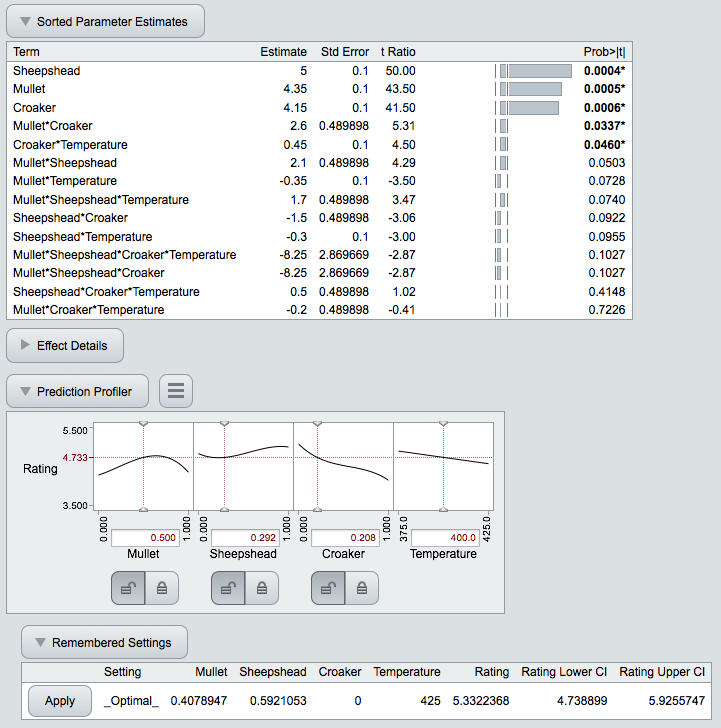 Prediction Profilers that appear embedded within the Fit Model Least Squares platform can be exported as part of the larger interactive report (as seen below). The figure above is created using the Fish Patty.jmp data set and resulted from running the included Model script. It shows off a number of the new features in JMP 12, including an embedded Profiler with mixture constraints, and highlights the mobile-friendly user interface.